This is an 11 1/2″ x 16″ heavy grade tin sign that reproduces an ad for the new 2005 Mustant GT, with the phrase “This Pony Will Run”. These are produced in the style of the original tin signs that were common in the first half of the 20th century. It is a mint, never used sign, complete with pin holes in the corners for easy hanging. These also look very nice framed. Produced by the Unemployed Philosopher’s Guild in 2014 this is a new and unused watch that features E=MC squared on your wrist. The Relativity Watch is the first watch where the numbers rotate around the face of the watch, proving unequivocally that time is relative (okay, perhaps a bit equivocally). It’s still easy to tell the time, but the never-ending parade of digits and symbols is hypnotically cool. The watch has an accurate Japanese quartz movement and a handsome imitation-leather strap. Einstein proved that as an object accelerates and approaches the speed of light, time actually slows down. We’ve taken that into account when designing the Einstein watch. Though it cost us a fortune in research and development, this is the first watch to keep accurate time up to 0.9973 Planck Units. The face is 33mm in diameter, it comes with a 1 year warranty and is Water resistant, not waterproof. 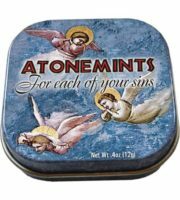 Produced in 2014 by the Unemployed Philosopher’s Guild comes the Atonemints Mints for each of your sins. These tasty peppermints are specially formulated to help relieve that sinful burden you carry around with you. Atonements come in a gorgeous metal tin (we almost called it Confession In A Can) and have a delicious peppermint flavor. Each tin is 4 ounces. This is an 12 1/2″ x 16″ heavy grade tin sign that reproduces a 1920's advertisement for Pinch Hit Chewing Tobacco featuring baseball legend Babe Ruth. These are produced in the style of the original tin signs that were common in the first half of the 20th century. 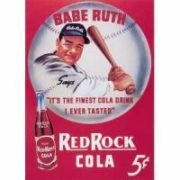 This is an 11 1/2″ x 16″ heavy grade tin sign that reproduces a 1920's advertisement for Red Rock Cola featuring baseball legend Babe Ruth. These are produced in the style of the original tin signs that were common in the first half of the 20th century. This is a new, unused, necklace/pendant of a bleached bat skull. It has a vinyl cord with metal links to adjust the length. In addition, it has a safety pin back so you can remove the cord and wear it as a broach. 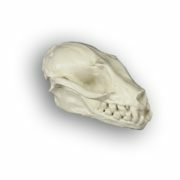 The skull is 1.75″ long. 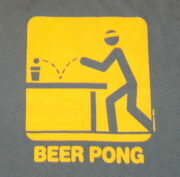 This is a 100% cotton, pre-shrunk, silk screen design grey blue shirt featuring the stick figure icon representing beer pong above the words Beer Pong. 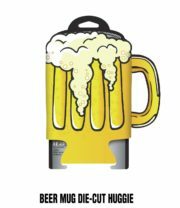 This is an illustrated black insulated neoprene drink can cooler featuring the die-cut image of a beer pint filled to overflowing. It is a new and unused can cooler huggie koozie still attached to its original card. This is a 12 1/2″ x 16″ heavy grade tin sign that reproduces the classic Red and White Budweiser logo known world wide. These are produced in the style of the original tin signs that were common in the first half of the 20th century. These also look very nice framed. The Celts lived in western and central Europe in the 1st millennium BC. Celtic mythology, which included earth gods, various woodland spirits, and sun deities, was particularly rich in elfin demons and guardian spirits, beings that still pervade the lore of peoples of Celtic ancestry. The celtic-cross is used as a symbol of Christianity to show devotion to a higher spiritual power, and also as a tool for spiritual focus. 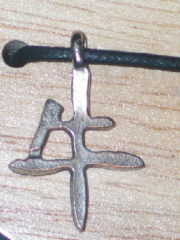 It measures about 1 1/4″ high and is new and unused pewter material and comes on a black woven 34″ long adjustable cord. Each pendant comes with a Celtic symbol card with descriptions of each of the 12 different Celtic Visions designs. According to traditional Chinese legend, ages ago Buddha summoned all the animals and honored the 12 who came by naming a year for them; each animal in turn gave its characteristics to people born in its year. It measures 3/4″ to 1″ high and is new and unused pewter material and comes on a black woven 34″ long adjustable cord. 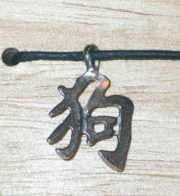 Each pendant comes with a Chinese zodiac card with descriptions of each sign. The boar is for years 1911, 1923, 1935, 1947, 1959, 1971, 1983, 1995, 2007 and 2019. The boar is a splendid companion and intellectual who sets difficult goals and carries them out. You expect too much from others. According to traditional Chinese legend, ages ago Buddha summoned all the animals and honored the 12 who came by naming a year for them; each animal in turn gave its characteristics to people born in its year. It measures 3/4″ to 1″ high and is new and unused pewter material and comes on a black woven 34″ long adjustable cord. 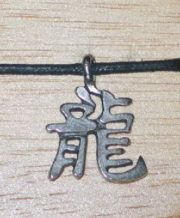 Each pendant comes with a Chinese zodiac card with descriptions of each sign. The dog is for years 1922, 1934, 1946, 1958, 1970, 1982, 1994, 2006 and 2018. The dog is generous and works well with others; faithful and an honest friend. Guard against a sharp tongue. According to traditional Chinese legend, ages ago Buddha summoned all the animals and honored the 12 who came by naming a year for them; each animal in turn gave its characteristics to people born in its year. It measures 3/4″ to 1″ high and comes on a black woven 34″ long adjustable cord. 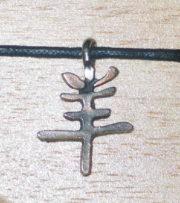 Each pendant comes with a Chinese zodiac card with descriptions of each sign. The dragon is for years 1916, 1928, 1940, 1952, 1964, 1976, 1988, 2000 and 2012. The dragon is full of vitality and enthusiasm and is popular individual. According to traditional Chinese legend, ages ago Buddha summoned all the animals and honored the 12 who came by naming a year for them; each animal in turn gave its characteristics to people born in its year. It measures 3/4″ to 1″ high and is new and unused pewter material and comes on a black woven 34″ long adjustable cord. 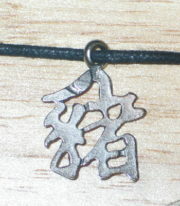 Each pendant comes with a Chinese zodiac card with descriptions of each sign. The horse is for years 1918, 1930, 1942, 1954, 1966, 1978, 1990, 2002 and 2014. The horse has the capacity for hard work and is intelligent and friendly. You have a strong guard against being egotistical. According to traditional Chinese legend, ages ago Buddha summoned all the animals and honored the 12 who came by naming a year for them; each animal in turn gave its characteristics to people born in its year. It measures 3/4″ to 1″ high and is new and unused pewter material and comes on a black woven 34″ long adjustable cord. 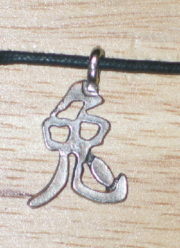 Each pendant comes with a Chinese zodiac card with descriptions of each sign. The monkey is for years 1920, 1932, 1944, 1956, 1968, 1980, 1992, 2004 and 2016. The monkey is very intelligent and very clever. Because of your extraordinary nature you are always well liked. According to traditional Chinese legend, ages ago Buddha summoned all the animals and honored the 12 who came by naming a year for them; each animal in turn gave its characteristics to people born in its year. It measures 3/4″ to 1″ high and is new and unused pewter material and comes on a black woven 34″ long adjustable cord. 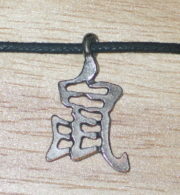 Each pendant comes with a Chinese zodiac card with descriptions of each sign. The ox is for years 1913, 1925, 1937, 1949, 1961, 1973, 1985, 1997 and 2009. The ox is a natural born leader; you are conservative and methodical. You must guard against being chauvinistic. According to traditional Chinese legend, ages ago Buddha summoned all the animals and honored the 12 who came by naming a year for them; each animal in turn gave its characteristics to people born in its year. It measures 3/4″ to 1″ high and is new and unused pewter material and comes on a black woven 34″ long adjustable cord. 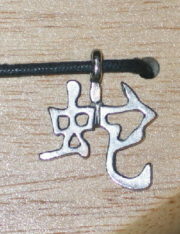 Each pendant comes with a Chinese zodiac card with descriptions of each sign. The rabbit is for years 1915, 1927, 1939, 1951, 1963, 1975, 1987, 1999 and 2011. The rabbit is not considered a risk taker, valuing security and tranquility. The rabbit works well with people. According to traditional Chinese legend, ages ago Buddha summoned all the animals and honored the 12 who came by naming a year for them; each animal in turn gave its characteristics to people born in its year. It measures 3/4″ to 1″ high and is new and unused pewter material and comes on a black woven 34″ long adjustable cord. 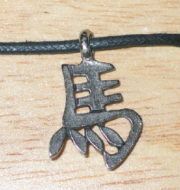 Each pendant comes with a Chinese zodiac card with descriptions of each sign. The ram is for years 1919, 1931, 1943, 1955, 1967, 1979, 1991, 2003 and 2015. The ram is warmhearted and honest and is also a talented artist, gifted naturalist and a seeker of freedom. According to traditional Chinese legend, ages ago Buddha summoned all the animals and honored the 12 who came by naming a year for them; each animal in turn gave its characteristics to people born in its year. It measures 3/4″ to 1″ high and is new and unused pewter material and comes on a black woven 34″ long adjustable cord. 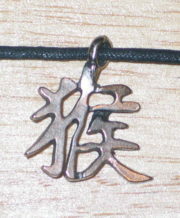 Each pendant comes with a Chinese zodiac card with descriptions of each sign. The rat is for years 1912, 1924, 1936, 1948, 1960, 1972, 1984, 1996 and 2008. The rat is said to be honest generous and have a sense of fair play. You must guard against being too aggressive. According to traditional Chinese legend, ages ago Buddha summoned all the animals and honored the 12 who came by naming a year for them; each animal in turn gave its characteristics to people born in its year. 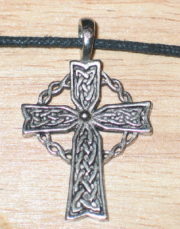 It measures 3/4″ to 1″ high and is new and unused pewter material and comes on a black woven 34″ long adjustable cord. Each pendant comes with a Chinese zodiac card with descriptions of each sign. The snake is for years 1917, 1929, 1941, 1953, 1965, 1977, 1989, 2001 and 2013. The snake is rich in wisdom and charm and you are romantic and deep-thinking. Your intuition guides you strongly.